It can’t have escaped your notice that Valentine’s Day is fast approaching. Florists, candy manufacturers, card, lingerie and condom makers (!) are gearing up for one of their biggest days of the sales year. Even the most tasteful of shops will have at least one display teetering under the weight of pink and red swathed cardboard boxes. Most of it containing chocolate. According to the US National Confectioners Association, 36 million heart-shaped boxes of chocolate will be sold for Valentine’s Day this year; all-candy sales will reach $1,011 billion be the week’s end. That’s a lot of sugar. I’m not here to throw a bucket of cold (nutritious) water over the candy parade. Heck, I even have chocolate and cocoa recipes in the Recipe Index. But I thought it might be fun to do something a bit different. Besides, if I get around to it I will post a quick and pretty-healthy-for-chocolate-sauce, chocolate sauce for Thursday. No claims that this recipe is virtuous or saintly, but it could definitely go into a health-conscious lunchbox without too many qualms: puffed rice (not Rice Krispies ®), raw cashews, coconut palm sugar (and not too much either; just enough) and a little coconut oil. Plus an optional touch of salt and ground cardamom for extra taste. Even so-called healthy snack bars and cereal bars aren’t a patch on little homemade bites such as these. And most children seem to prefer homemade treats to shop-bought if given a choice. I got the inspiration for this recipe from a photo I saw on Pinterest a few weeks back. I am not a huge Pinterester. But I could very easily be. 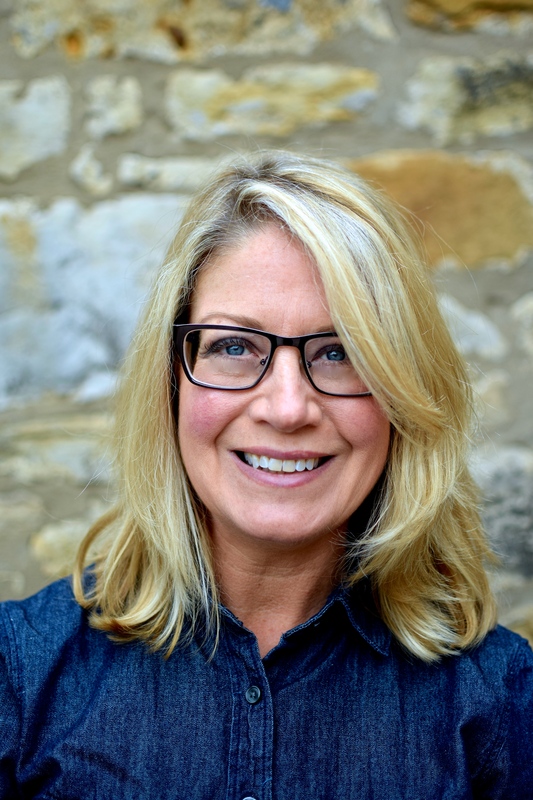 I follow a few people, and love indulging in a wee half hour noodling around, inwardly aahing at the gorgeous photography and stunning creativity of bloggers and designers represented on the boards. 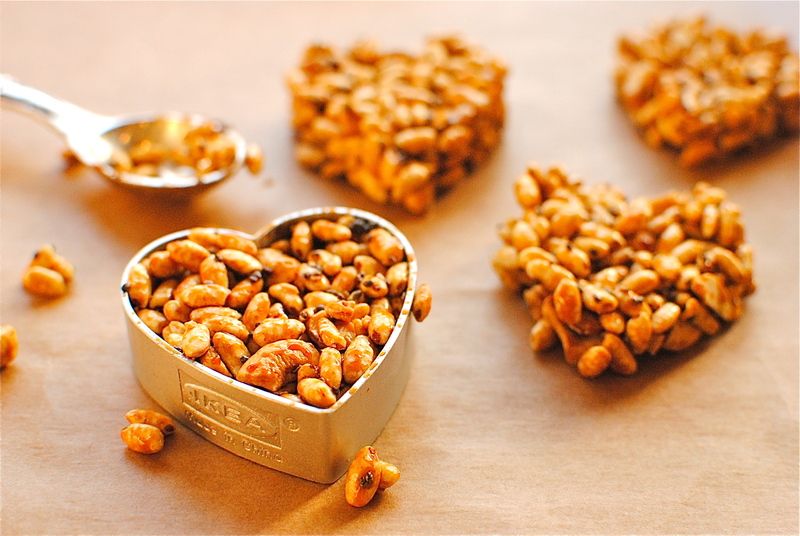 Anyway, I saw a simple image for Puffed Rice Brittle, clicked for the website and found something not a million miles away from what you see here. Puja at Indiaphile has other great ideas I will take time to explore, but for now her brittle inspired this somewhat less brittle version. I hope you like it. My Miss R, her friend Asha and Mr A are driving through to Glasgow right now to see the NME Awards Tour. All that head-banging burns loads of calories so I have tucked a box of these in the car for the journey back. They will be so hyper by the time they eat them that I doubt sugar would even register. Luckily the coconut sugar seems to have a relatively low impact on blood sugar levels so any high they have will be from adrenaline and joy. I don’t think this is a direct sub for a teddy bear hugging a box of chocolate, and certainly not a sub for a nice diamond ring, but if you fancy a wee treat that’s suitable for nibbling with a cup of tea or going in a healthy lunchbox, I’ve got you covered. This is an adapted version of a brittle that I saw on Pinterest, from Puja at Indiaphile. Her brittle bites are so beautifully photographed that they grabbed my attention right away. An easily made sweet treat, with a few healthy goodies in it that almost offsets the sugar. Use pistachios, walnuts or pine nuts instead of the cashews, and perhaps switch out the cardamom for cinnamon, or even add just a few drops of vanilla. Delicious however you make it. This little sweet is not a brittle but more of a crispy chew. However, if you want to make it as a brittle, perhaps look here for instructions (it is delightfully precise), or use your own tried and true method for the syrup. 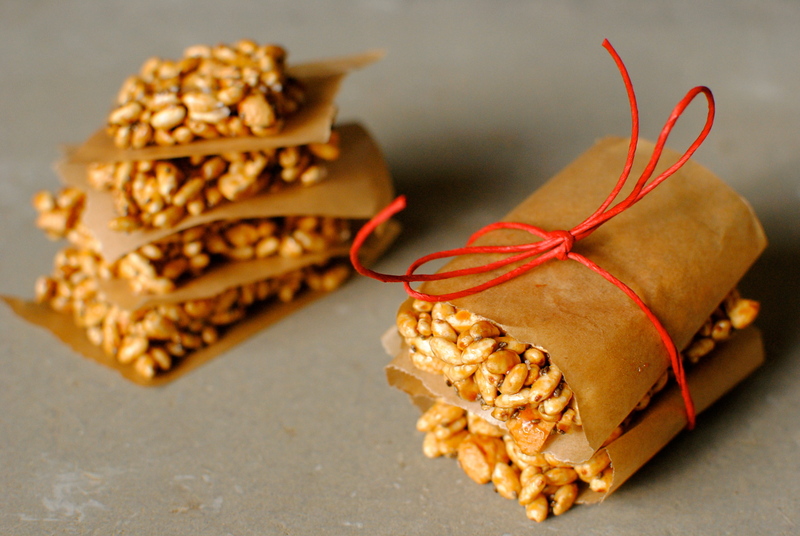 But do add the puffed rice and nuts – heavenly. 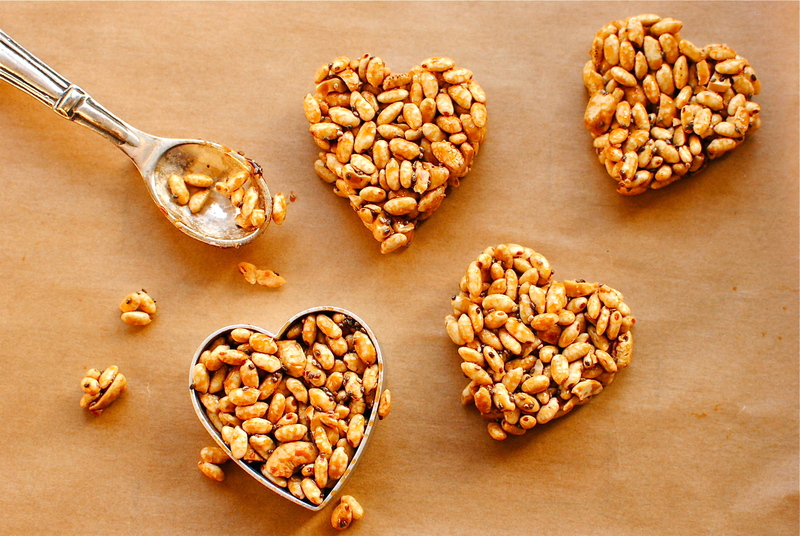 Spread the puffed rice on a baking sheet; put the cashew nuts and chia seeds on another baking sheet. Place both baking sheets into a 150C/300F oven and bake for 10 minutes, until the nuts are starting to toast. Set aside. While the rice and nuts are toasting, make the syrup by putting the coconut sugar, coconut oil and water into a heavy saucepan. Bring to the boil over a medium heat. Simmer, without stirring*, until a sugar thermometer reaches the firm ball stage (130C/250F). If you don’t have a sugar thermometer, after about 12 minutes of steady bubbling, using a long spoon, carefully remove a bit and drop into a waiting bowl of cold water. The syrup is ready when it forms a ball that when pressed holds its shape. I don’t know much about candy making, and if you do use whatever method you like, even taking it to the proper brittle stage of ‘hard crack’ (300F). I’m not patient enough for all that, and we like this as more of a soft chew rather than brittle. When the syrup is ready stir in the rice, cashew nuts and chia seeds. Pour immediately into a buttered brownie pan and press flat with a spatula. Sprinkle over a little salt and ground cardamom. Allow the sweet to cool for 10 minutes in the dish before cutting into squares. They won’t stay cut especially well but once hardened they should separate quite easily. You could also make into shapes with cutters, pressing the mixture in firmly, then lifting away carefully. Easier still you could roll the warm mixture into balls and flatten or not. Makes about 30 or so small pieces. Best kept in the refrigerator, layers separated by ungreased parchment paper. These will be quite soft but should hold their shape fairly well if you don’t handle them too much before eating. Lovely treat that’s not too sweet. * If sugar crystals develop brush down the sides using a silicone pastry brush dipped in water. Have a brush and water on standby. Thanks Jacqueline. We re having a quiet night in too as the next night we are having people round for a bit of a feast (and my friend is making caiprihnas!). And, as the mum of a teenager we are always having to do a bit of taxi service and tonight is no different! Have a good night, surprises or not. Can I find chia seeds in the U.S.? I’m planning on making these – they look yummy! I love crunchy sweets so this is right up my alley! We used to use Valentine’s Day as an excuse to take a romantic trip for the weekend or just get away but since we had our son, we keep it close to home. I am not sure what we are doing this year yet – I need to bring it up tonight! OK psychic woman! I just bought some organic cardamom yesterday for the first time and i said “I’m sure I’ll find something to use this for” Thanks!! So adorable! Well hubby has invited me for a picnic in the Pentlands (I was suitably impressed with this notion) but as there is hideous weather forecast for Wed night I think its more likely to be in the car! Perhaps I should get some hearts made to whip out for the occasion, nice idea, thank you! I wonder if you are right now huddled against the Pentland snow with Mr W? Very romantic, Mrs! Don’t bother tracking down the chia seeds. I just happened to have them, and as they are very healthy and easily added to baked goods and sweets, I popped them in. It’s food! Need I say more? Thanks for sharing my recipe, Krystel. I enjoyed seeing your geology fieldwork trip photos, and hearing the enthusiasm for your course and fellow students through your writing. Hope the exam went well! These looks so cute and delicious! Can’t wait to try them out!